The right to social security and to an adequate standard of living is centrally codified in numerous international human rights instruments and international social security standards, including the Universal Declaration of Human Rights (Articles 22 and 25), the International Covenant on Economic, Social and Cultural Rights (Articles 9 and 11), as well as in the International Labour Organization’s (ILO) Convention 102 and Recommendation 202 (R202). In particular, R202 sets out basic social security guarantees which are related to the envisaged achievements of social protection systems, namely: access to a nationally defined set of goods and services including health care provision and basic income security at or beyond a nationally defined minimum level for children, persons in active age and older persons. The Recommendation also outlines principles for social protection systems: universality of protection; entitlement to benefits prescribed by national law; adequacy and predictability of benefits; non-discrimination, gender equality and responsiveness to special needs; social inclusion, including of persons in the informal economy; respect for the rights and dignity of people covered by the social security guarantees; efficiency and accessibility of complaint and appeal procedures; and regular monitoring of implementation. While there is no lack of legal guidance for the development of right-based approaches to social protection, the challenge lies in the conceptualization and implementation of such schemes. The Mahatma Gandhi National Rural Employment Guarantee Act (MGNREGA) has received attention for its rights-based approach to providing social protection. It is a public employment guarantee scheme designed to provide employment and basic income security to the rural working-age population in India, as well as improve their livelihoods through the development of durable assets. MGNREGA combines rights-based entitlements with demand-driven employment and citizen-centred planning and monitoring in its design. With regards to the central principles of R202, the innovative policy framework of MGNREGA pings nearly all of them: universality of protection, entitlement to benefits prescribed by national law, inclusion of informal economy workers, and respect for the rights and dignity of people covered by the scheme. Yet, despite the inclusion of these principles in formulating policy, the implementation process demonstrates the many challenges of realizing a rights-based approach. Under MGNREGA, entitlement to benefits is prescribed by national law: every adult member of a rural household that volunteers to do unskilled manual labour is entitled to employment which is paid according to a defined wage schedule and is in reasonable proximity to his or her home within two weeks, and this guarantee is backed by an unemployment allowance, in case no employment can be provided. MGNREGA benefits are universal and inclusive: they take into account the special needs of historically and economically disadvantaged groups such as indigenous and outcaste groups and women. Hence, equality of access and non-discrimination are part of the scheme, as is the adequacy and predictability of benefits. MGNREGA considers rural workers in need of work and income as rights-holders, while the administration is the duty-bearer with the obligation to deliver. In order to realize their entitlement to employment, citizens need to state their demand to local officials, who are then responsible for opening a public works project. The workers’ rights and dignity are further strengthened by their involvement in planning, implementation and monitoring processes. Ideally, MGNREGA public work projects are requested by the village assembly and are approved by the local and district administrations. Additionally, the Act requires regular social audits, meaning that all MGNREGA documents must be in the public domain and open to inquiry by citizens through public audits, fulfilling the requirement of ensuring transparency and access to information outlined in the Committee on Economic, Social and Cultural Rights’ General Comment 19. These audits serve a dual function of monitoring the scheme’s implementation and holding local administrations accountable. Besides the effect of verifying expenditure and providing a mechanism to discover potentially misappropriated funds, social audits also raise awareness and improve villagers’ confidence to approach local officials and not accept arbitrary charges from institutions or individuals involved in programme delivery. During its first 10 years of implementation, MGNREGA had some major achievements. Where the scheme works, where employment and wages are provided regularly and reliably, where the infrastructure built is useful and sustainable, MGNREGA has transformed the lives of those living in rural areas. Even when only some of the Act’s provisions are in place, rights-holders have reported positive changes in their lives, such as reduced dependence on moneylenders or a reduction in distress migration. These changes, big and small, are evidence in favour of continuing to invest resources into the scheme and improving its delivery. In adhering to several R202 principles, MGNREGA provides an example from which other countries can learn. While the programme has had transformative effects in people’s lives, there are still challenges. Most of MGNREGA’s remaining bottlenecks are in implementation, where its elaborate rights-based framework poses some obstacles. Observers frequently note, for example, failure to register demands for work and subsequently provide employment or unemployment allowances, delays in payment, corruption in registration, lack of institutional capacity, inadequate labour protection at worksites, insufficient maintenance of assets, unreliable monitoring and auditing processes, and lack of public awareness. Perhaps most crucially, much of the rights-based character of the scheme depends on the provision of employment as demanded. When this demand is not properly recorded by the local administration, work is not provided when needed, but rather when local administrators make work available. The failure to move from supply-driven to demand-based employment provision also means that the conceptual transformation of seeing worker as rights-holders and local administrations as duty-bearers, is incomplete. In many instances this is a challenge for both sides. For the part of the worker the often mentioned “awareness” may be insufficient to realize their rights – members of the administration may not easily recognize these rights even when they are claimed. For the administration, this process may require a massive shift in the perception of their own role, such as admitting when they are unable to provide employment after a resident submitted a claim. The supply-driven implementation in previous schemes often meant that employment was unavailable when needed, and thus was unpredictable. However, predictability is central to shifting the focus of people living in poverty from immediate survival to sustainable improvements in their standard of living. Reliability is therefore central to bolstering rights-holders’ agency to challenge an administration that fails to recognize their rights — a point which is recognized and codified in R202 as the principle of adequate and predictable benefits. Overall, the implementing process needs further investment and reform to strengthen the rights-based character of MGNREGA and to maintain its vivid “potential to transform the face of rural India”. Ellen Ehmke works on social protection in North and South, on informal work and labour standards, as well as on participation. She studied political sciences at Free University Berlin and Bogazici University Istanbul and in 2016 she will defend her PhD on the politics of implementation in MGNREGA at the University of Kassel, Germany. With her colleagues from the International Centre for Development and Decent Work she published ‘Socio-Economic Insecurity in Emerging Economies’. As a research consultant she has recently authored two studies for the ILO: National Experiences in Building Social Protection Floors: India’s Mahatma Gandhi National Rural Employment Guarantee Scheme and Labour Market Measures in Germany 2008–13: The Crisis and Beyond. 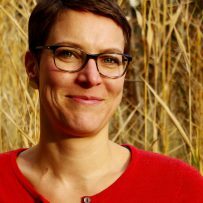 Since 2013 she has been a member of the team behind youthpolicy.org and a founding member of Academics Stand Against Poverty – Germany.